If you're someone who is interested in what is sometimes known as "alternative science," you likely already are familiar with the popular supermoon conspiracy theories. Now, what we know to be definitively true is that a supermoon is quickly approaching — and what's more, it's definitely not one you want to miss. As to whether the conspiracy theories about it are true? Well, that's still up for debate... but they're kind of fun to think about anyway. Here's the deal: On Nov. 14, 2016, we'll be graced with the biggest supermoon since 1948, which means it's as close to a once-in-a-lifetime sighting as we're likely to get. November's supermoon is impressive on two counts: First, it's supposed to be the closest full moon to the planet Earth that we'll have experienced so far. Beyond that, it's supposed to be the biggest full moon we've seen in nearly 70 years. Those two factors combined make this a supermoon you definitely want to step outside and catch sight of, whether or not you're typically an astronomy buff. Scientists estimate that this November's supermoon will appear 14 percent larger and around 30 percent brighter than our typical moon. While we experience supermoons fairly regularly (there was one in October, for example, and we'll experience another in December), this supermoon is nothing to scoff at because of its size and light. Of course, when it comes to any big events in the world, we know that there are always some creative thinkers out there who investigate other ideas and explanations. While Larry Sessions at EarthSky, for example, makes a point of clarifying that "the effects of a supermoon are imperceptible, and far smaller than those encountered in other everyday situations, such as being near a mountain or even a large building," people are still pretty convinced there are impacts coming that could dramatically change our lives — and even the world — as we know it. Some people, for example, vehemently believe that the arrival of November's supermoon will bring about the second coming of Christ — or maybe the apocalypse. As Sean Martin explains over at Express, "The last time the moon was this close was in 1948. ... This, coupled with the rarity of it being the second successive month that there will be a supermoon and a third to come in December, has prompted fears [the] arrival could bring about the apocalypse." Martin also notes that many are latching onto the fact that significant research into what's believed to be Jesus' tomb has been conducted; again, this combined with everything else has some believing the second coming is upon us. 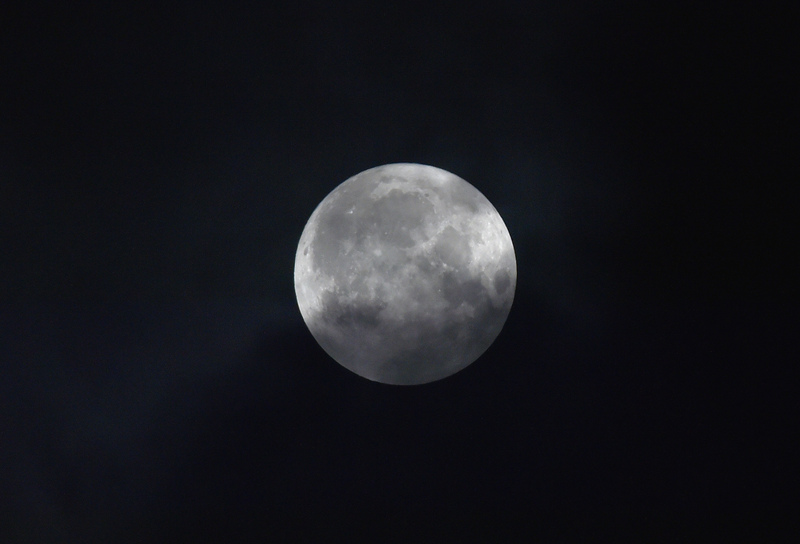 Others believe that the impending supermoon will bring about natural disasters. For instance, as Lily Waddell explains at the Daily Star, some people that the supermoon is linked to tidal waves and earthquakes. The idea here is that because the moon is linked to some things that happen here on Earth — such as the tides — that the size and closeness of the supermoon will cause natural things to go out of whack and cause mass destruction. And don't forget the classic myth surrounding full moons: The presence of a full moon has long been thought to have odd effects on humans. As explained at History.com, though, it's a widely spread misconception that full moons can make people go "crazy." The logic here, of course, is that if the moon is even bigger, brighter, and closer than usual, it can make people really lose it. Of course, there are no legitimate studies linking people's mental health or ideations to the full moons (and suffering from mental illness does not make you "crazy" or "loony" in the first place — hi there, mental health stigma), but this theory still hangs on. It's a lot to think about, am I right? Happy moon watching, y'all!